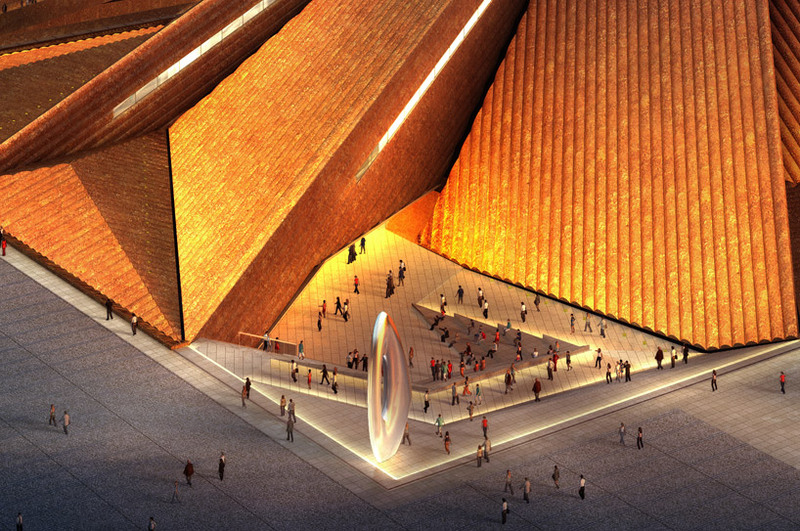 construction has begun in datong, china on the 'datong art museum', designed by london-based practice foster + partners. four pyramidal roof peaks interlock to define the exterior form, evoking the imagery of an erupted landscape. 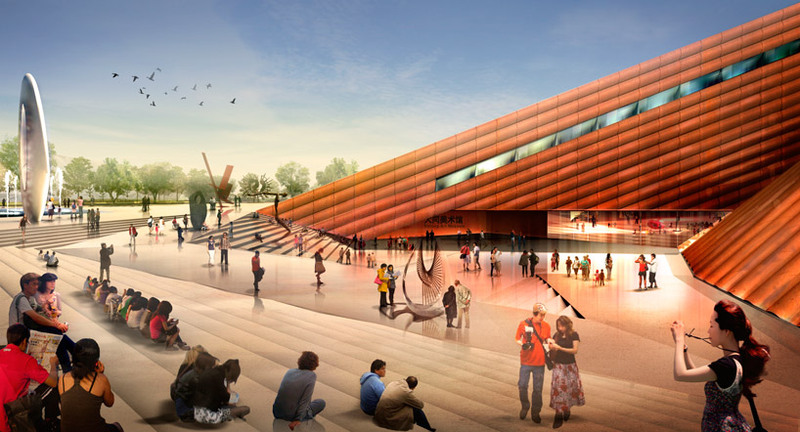 the external surfaces are clad with corten steel, a material with earthen hues and will continue to weather over time. 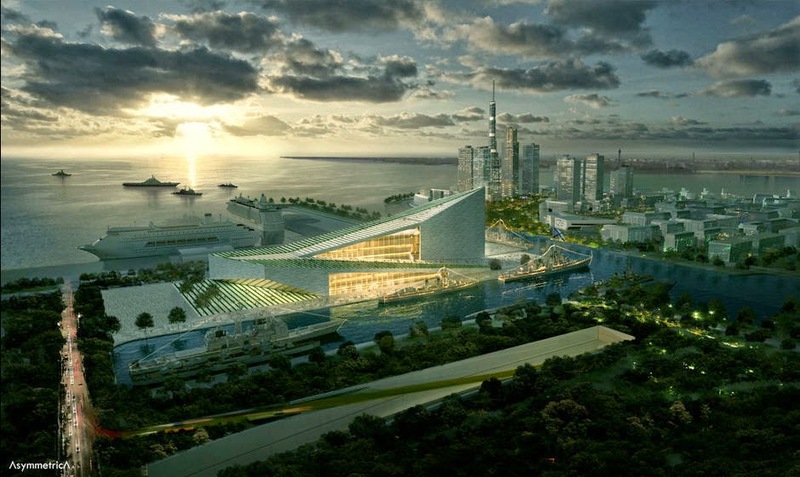 one of four new buildings bordering a new cultural plaza, the 32,000 square meter center will be slightly sunken into the earth, matching the scale of its neighbors. visitors descend through a stepped courtyard of sculptures to enter the museum.